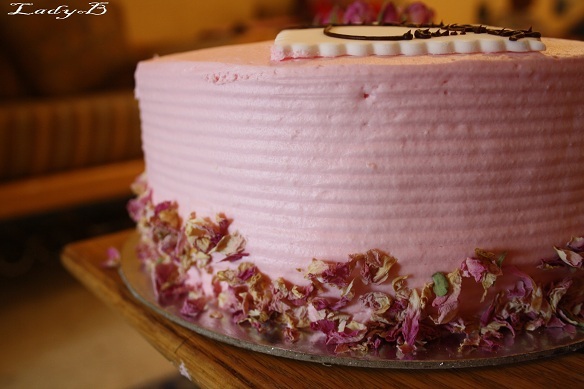 The last one is Caramel's Bakery Rose Cake, the cake is very simple design wise covered in pink frosting and decorated with dried rose petals .. 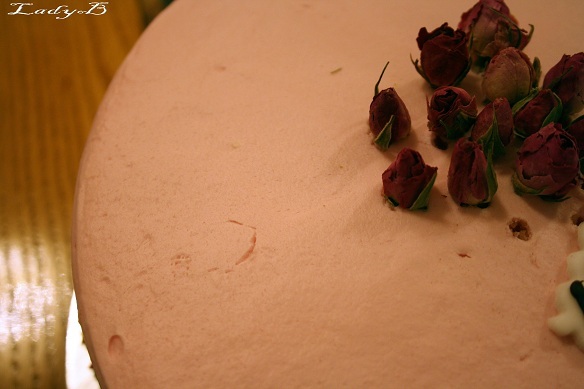 Taste wise, it's super moist and greatly infused with the rose flavour.. 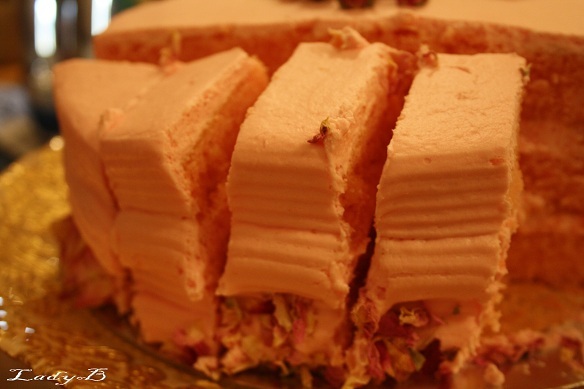 Among the layers of the rose flavour frosting had bits of turkish delight..